Cook elbow macaroni according to package directions. Drain and rinse with cold water. 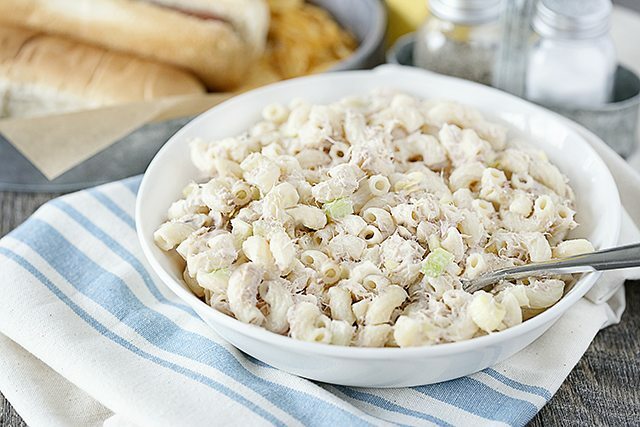 Place macaroni in a mediums sized bowl and add tuna, celery and mayonnaise.